Fanless Posiflex POS Terminal with all the essential function and capabilities to satisfy businesses of all sizes, and represent one of the best value choices in the entry-level, Mid-level and High-Performance-level POS Terminal segment. Featuring:Slim, Flexible andDesigned to better manage peripheral connectivity by separating a full set of ports into the top and the bottom of the terminal ensuring neat, reliable peripheral cabling. Used in Business such as:Good Store, Food and Beverages, Telecom, Jewellery, Department stores, Super/Hypermarket, Flower Shops, Multiplexes, Hotel & Resorts, Food Courts, KIOSK, Convenience Stores. Resolution Default 1024 x 768,1366 x 768 max. 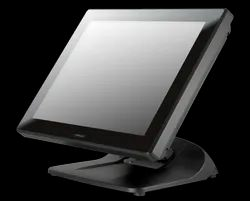 PS-3316E is a 15.6” wide touchscreen fanless POS Terminal with all the essential functions and capabilities to satisfy businesses of all sizes, and represent one of the best value choices in the entry-level POS Terminal segment and are widely used in Food and Beverages, Telecom, Jewellery, Department stores, Super/Hypermarket, Flower Shops and they can even be used as Kitchen Display System. Flexibility to adjust the screen to a height and angle depending on the application. 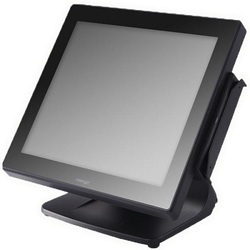 Featuring a 15.6” wide P-CAP touch screen, the PS-3316E+ is a fanless POS Terminal with all the essential functions and capabilities to satisfy businesses of all sizes, and represent one of the best value choices in the entry-level POS Terminal segment and are widely used in Food and Beverages, Telecom, Jewellery, Department stores, Super/Hypermarket, Flower Shops and they are also used as Kitchen Display System. Designed to better manage peripheral connectivity by separating a full set of ports into the top and the bottom of the terminal, the PS-3316E plus ensures neat, reliable peripheral cabling. 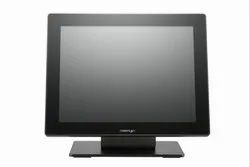 Powered by Intel Bay Trail processor, the XT-3915IR features a 15” IR touch screen, beautifully sculptured slim body, and sexily curved base stand, the XT-3915IR looks right at home at any elegantly decorated store. And more than just good looks, the XT-3915IR also offers ample of performance and flexibility to satisfy the most demanding of daily POS operations and are widely used in White Good Store, Food and Beverages, Telecom, Jewellery, Department stores, Super/Hypermarket, Flower Shops, Multiplexes, Hotel & Resorts, Food Courts, KIOSK, Convenience Stores. With a bezel free touch screen, beautifully sculptured slim body, sexily curved base stand, Posiflex XT-4015 looks right at home at any elegantly decorated store. And more than just good looks, XT-4015 can be equipped with the lighting fast Intel Core i7 CPU that provides ample muscle power to handle any task imaginable. The new foldable base allows XT Series to be configured into different configurations. “Flat Folded Mode” to save the shipping package volume. “Low Profile Mode” to allow greater interaction between cashier and the customers; and the traditional “Full Extended Mode”. All this can be achieved with a simple pull of the hidden lever. This one terminal/multi-configurations concept provides unmatched flexibility to store owners and system integrators alike and are widely used Used in White Good Store, Food and Beverages, Telecom, Jewellery, Department stores, Super/Hypermarket, Flower Shops, Multiplexes, Hotel & Resorts, Food Courts, KIOSK, Convenience Stores. With a bezel free touch screen, large 17" display, beautifully sculptured slim body, sexily curved base stand, the XT-3817 looks right at home at any elegantly decorated store. And more than just good looks, the XT-3817 also offers ample of performance and flexibility to satisfy the most demanding of daily POS operations and is widely used in White Good Store, Food and Beverages, Telecom, Jewellery, Department stores, Super/Hypermarket, Flower Shops, Multiplexes, Hotel & Resorts, Food Courts, KIOSK, Convenience Stores. The patented foldable base of the XT-3817 enables users to adjust the screen to a height and angle of their choice, providing unparalleled flexibility. The XT-3817 is equipped with the latest Intel Bay Trail quad core processor that is powerful enough to process anything throws at it without even breaking a sweat. 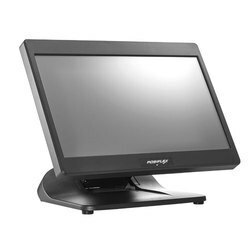 With the true-flat PCAP touch screen supporting multi-touch, beautifully sculptured slim body, sexily curved base stand, the XT-5317 fits in well with any elegantly decorated store. And more than just good looks, the XT-5317 is powerful enough to handle any task imaginable that comes its way and is widely used in White Good Store, Food and Beverages, Telecom, Restaurants, Jewellery, Department stores, Super/Hypermarket, Flower Shops, Multiplexes, Hotel & Resorts, Food Courts, KIOSK, Convenience Stores. The patented foldable base of the XT-5317 enables users to adjust the screen to a height and angle of their choice, providing unparalleled flexibility. A wide range of CPU options from Intel Celeron to Core i3 to fit each unique need. The RT-5015 radiates in its new design – featuring an ultra-slim and sleek look that exhibits elegance. It is uncompromising to the space requirements and provides better cable management and easy maintenance. The RT-5015 is taking POS terminal design into the next level, setting your brand image apart from the others and are widely used in white Good Store, Food and Beverages, Telecom, Jewellery, Department stores, Super/Hypermarket, Flower Shops, Multiplexes, Hotel & Resorts, Food Courts, KIOSK, Convenience Stores. The patented fan-less technology allows the terminal to run quietly in all kinds of harsh conditions and – at the same time - provides a long service life and are widely used in White Good Store, Food and Beverages, Telecom, Restaurants, Jewellery, Department stores, Super/Hypermarket, Flower Shops, Multiplexes, Hotel & Resorts, Food Courts, KIOSK, Convenience Stores. 1. Processor: Intel 7th Generation Kaby Lake-U Core i3 Processor Intel 7th Generation Kaby Lake-U Core i5 Processor. The RT-5016 radiates in its new design – featuring an ultra-slim and sleek look that exhibits elegance. It is uncompromising to the space requirements and provides better cable management and easy maintenance. The RT-5016 is taking POS terminal design into the next level, setting your brand image apart from the others and and are widely used in white Good Store, Food and Beverages, Telecom, Jewellery, Department stores, Super/Hypermarket, Flower Shops, Multiplexes, Hotel & Resorts, Food Courts, KIOSK, Convenience Stores. The RT-5116 radiates in its new design – featuring an ultra-slim and sleek look that exhibits elegance. It is uncompromising to the space requirements and provides better cable management and easy maintenance. 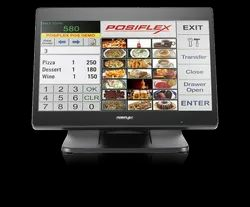 The RT-5116 is taking POS terminal design into the next level, setting your brand image apart from the others. With sleek contours, ultra-slim body, and linear rear cover surface, the RT-5116 features a 15.6" PCAP touch screen, and full suite of ports that are hidden in the clean rear cover. No screws can be found on its surface maintaining a neat and sleek look.